Have you ever noticed that the Sundays before really busy weeks are especially nutty? Have you ever wondered how your preschoolers can sense that a Papi will be out of town and act crazy as a result? You haven’t? Well, I guess it’s just me, then. As you might have guessed, Wes left town this morning, if 3am can be counted as “morning.” He and a few other pastors from our association are flying to Phoenix today to explore church planting opportunities. This is exciting stuff since it puts our association and our church in a position to help with the start of a new church in a more unreached area of the country. Wes was very excited about the project, even though it meant that he had to wake up at 3am this morning. (This is life when you live so far from a major airport.) I had no intention of waking up that early to see him off, but seeing as how I was taking girls back to their beds repeatedly from midnight until 2:30am (see the first paragraph), I was already mildly awake when Wes let Charlie out for a bathroom break. I went ahead and got up, albeit very grumpily (is that a word? ), knowing that once he left at 4:15, Charlie would be especially jumpy and hyper and in need of some supervision. As he was. I was able to get in my quiet time, empty the dishwasher, and start the laundry in between sessions of jumping around the living room with him until he finally retreated to the kitchen to lie on the tile. I sat on the couch to read a book and started dozing off… so, I put Charlie back in his crate (where he promptly fell asleep) and went back to bed. Glorious, comfy bed, where I dreamt that we were like that family in “The Blind Side” except we inspired our adotped son to become a cast member at Walt Disney World. Because that’s a far more lucrative career choice than playing in the NFL, right? (Crickets chirping.) I was woken up by a screeching Emma, who was very literally covered in her own snot. I refrained from screaming at the sight of her (and it was difficult, believe you me), got her cleaned up, and fixed breakfast for the girls while Ana tried to calm Emmy down by getting out both of their Leapsters and turning them on at full volume. They played at the kitchen table to their ear-splitting heart’s content until Emma sneezed again, and (you guessed it) her Leapster had to be cleaned up. I think we’re done with the nasty sneezing for now, I hope. Looks like someone might have allergies! Anyway, we’ve just gotten back from running some errands around town. While it’s not easy getting the girls in and out of car seats at every stop along the way, I must admit that they seem to put the people we interact with while we’re out in fabulous moods. They were given lollipops at two of the three places we stopped and asked if they were twins at all three stops. I always appreciate Ana’s explanation — “We are NOT twins. We are a year apart.” I’m not sure she even understands what a “twin” is (I’ve tried explaining it to her, but the thought of two babies in one tummy just blows her mind), but she’s heard our reply enough to repeat it herself. Little ears are always listening! Oh, y’all. I wish I could tell you that this wasn’t my idea. Technically, it was my sister who suggested in passing to my parents that maybe, possibly, we could all go to Walt Disney World next spring, seeing as how this is the last year before the oldest girls start “real” school and could vacation during one of the less crowded seasons. But it was just a whim of a thought before Wes and I heard about it, and by the time we were done, I think we had price quotes, proposed itineraries, our bags packed, and our mouse ears on. (Well maybe not THAT bad… but close to it!) Once we calmed down and discussed it rationally, we concluded that if it was just the four of us, we likely wouldn’t spend the money to do it, but because it’s a trip with the family, we would try our best to make it happen. I’m pretty sure after Gram and Gramps do the WDW experience with three preschoolers and one toddler, they’ll likely be tired enough that they’ll never do it again. The girls had such a good time when we went with Wes’s parents last year, and we want them to have the same experience with the other side of the family. We’re fairly confident that if we cut back spending in certain areas, we can save the money without touching any savings at all, including the “new to us” car fund that we’ll need completed before the Sonata passes onto greener pastures. Of course, doing so means not picking up a pizza after church (gasp!) and just saying no to the $35 Vera Bradley sale (gasp! ), but it’ll all be worth it when the ten of us are at the Magic Kingdom. We’re hopeful that the scheduling works out for everyone. 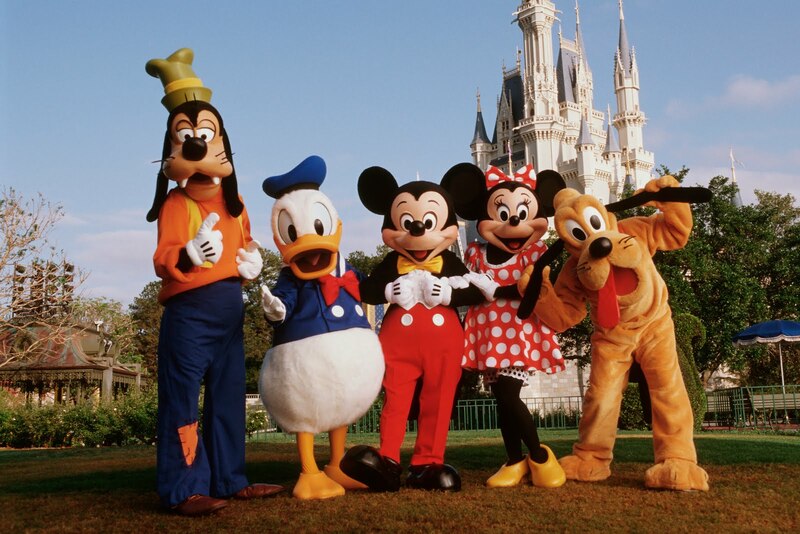 Roinnie and I are going to Disney World at the end of September with Jeffrey, Sarah, and the grandkids! We are excited, and we are driving to save money! Also, there are resort homes like the one we are staying in that are half the price of the resort hotetls! This one Jeff got us is about 10 minutes from the parks and close to Wal Mart where we can buy some of our food and not eat in the park every meal! I will get the name of the resort home, but it has 4 bedrooms and 3 bathrooms. We will share a kitchen, and there are a washer and dryer and a pool with a hot tub! We are looking forward to this experience since my grandson is also 4 and is starting preschool next week! !